Following a collision where a single vehicle lost control Wiltshire County Council carried out a safety review on a section of the A350. It was found that over a period of three years there has been 3 collisions between vehicles here. Following a more in depth investigation by highway engineers exsting records showed that a stretch of the A350 including this location had 28 casualties and 18 collisions. Having identified this stretch of road as a potential hazard WIltshire Engineers were tasked with interrogating the avaliable data to try to identify a route cause and formulate a treatable solution. Having identified the bends and junctions as the hazard Highway Engineers designed a scheme to improve the prominence of this stretch of A350. 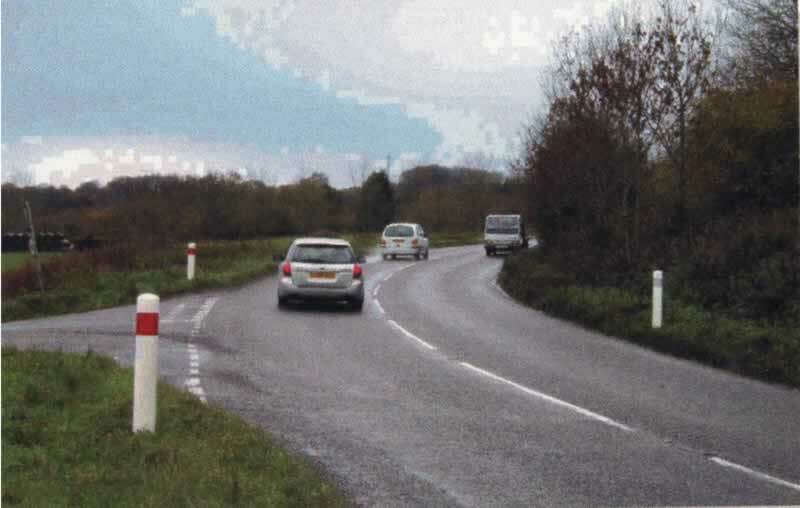 The usual traffic signing provided by Wiltshire County Council’s term contractor in addition to junction marker bollards was specified to highlight 5 junctions along this stretch of the A350 route. Verge maintenance was identified as a potenial problem so reboundable “Gladiator” bollards were specified allowing vehicles and grass cutting machinery to hit the junction markers which had the ability to be flexible and recover back to their original position. Therefore keeping a visual marker in place, it has been identified that recoverable signage has become more important over the last few years. The Gladiator Bollard helped Wiltshire County Council to facilitate a cost effective and quick solution to improve the prominence thus highlighting the potential hazard. Safety: The “Gladiator Bollards” have a reboundable quality that is a safer solution than the traditional junction markers. Maintenance: the colour & materials were selected to be low mainenance and because they did not require constant redecoration. “JACS flexible Gladiator Bollards have provided a satisfactory solution to highlighting rural junctions on a busy primary route (A350) JACS UK Limited products provided an aesthetically pleasing solution coupled with an enviromentally recyclable material which helps Wilshire County Council reach its sustainability targets-KPI’s”.